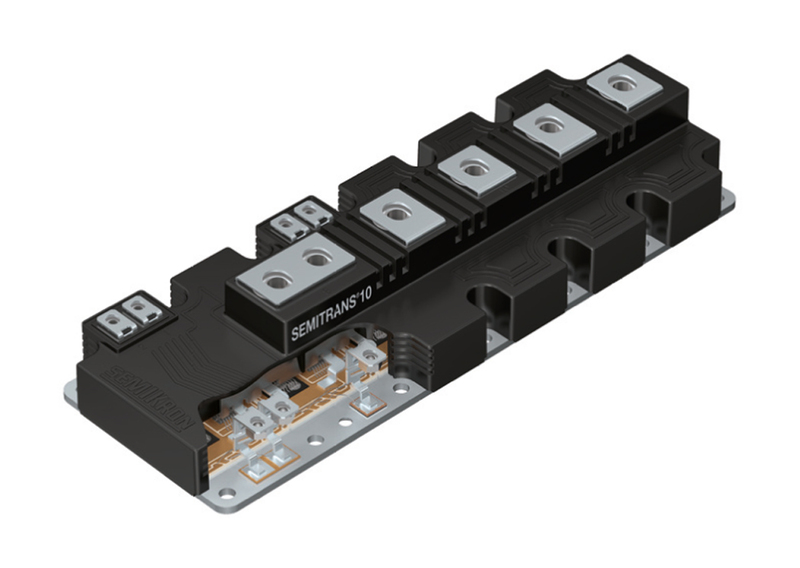 SEMITRANS 10 is a robust industrial standard package with copper baseplate and screw terminals for the power connections. The SEMITRANS 10 package is a low-inductance design and is available in 1200V (1400A) and 1700V (1000A/1400A) half-bridge topologies as well as MLI in 1200V IGBT technology and 1200A nominal output current. 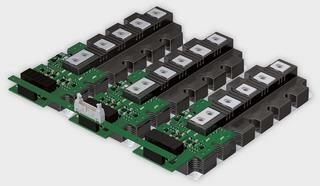 High availability is ensured by the use of multiple IGBT sources and SEMIKRON CAL diodes. 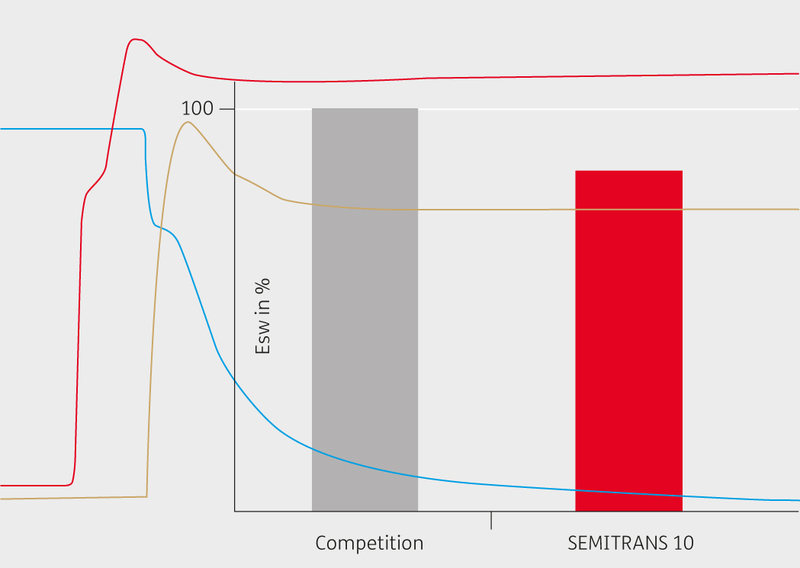 SEMITRANS 10 is based on an industry standard package making use of the latest silicon as well as the most recent packaging technology. 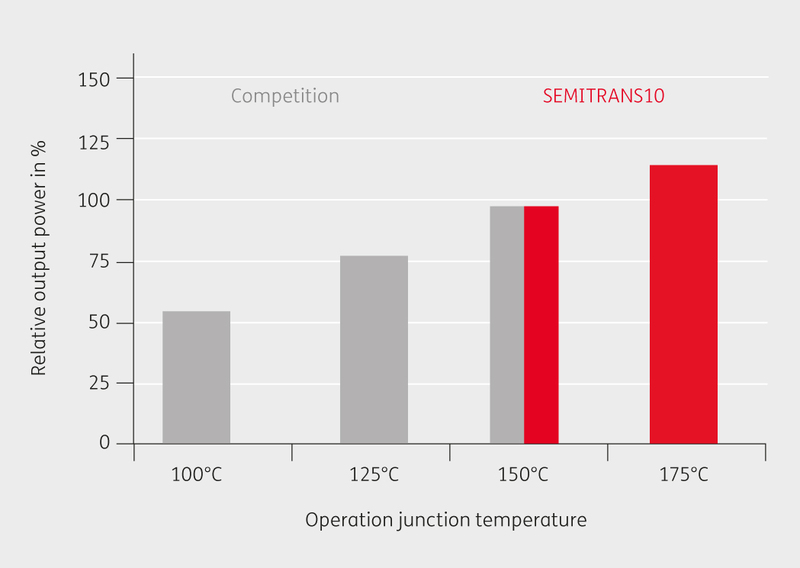 This gives SEMITRANS 10 a big advantage with regard to reliability, especially thermal robustness as well as enhanced switching performance. SEMITRANS 10 is the first standard package introducing Direct Pressed Die (DPD) technology. 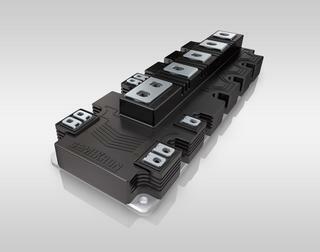 DPD could increased the output power by more than 30% compared to the standard SEMITRANS 10 and this by sticking to the same IGBT & Diode technology. 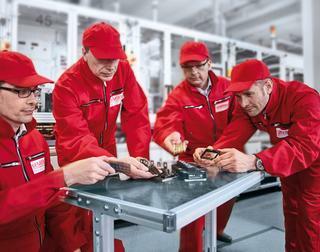 This proven package is designed for a wide range of applications such as regenerative inverters up to 1500V DC bus and power supplies which have to meet strict service life and robustness requirements. 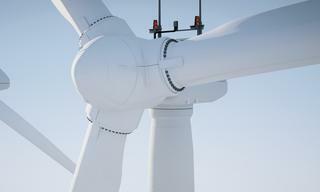 Thanks to the flexibility and scaling capabilities that this architecture boasts. SEMITRANS 10 and SKYPER Prime have been optimised to provide outstanding performance, a multitude of features and sophisticated paralleling. The package materials in SEMITRANS 10 have been optimised for high temperatures. This ensures stable and reliable operation with today’s chip generations of chip operating junction temperatures of 150°C and future chip technologies with maximum junction temperatures up to 200°C. 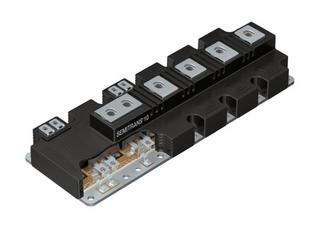 The SEMITRANS 10 package is available in 1200V (1400A) and 1700V (1000A/1400A) half-bridge topologies as well as MLI in 1200V IGBT technology and 1200A nominal output current.